We landed at this beautiful little quiet spot to celebrate Sarah’s birthday the Tuesday night before Thanksgiving. Dinner was outrageous; wonderful service, awesome presentation and everything tasted just great. 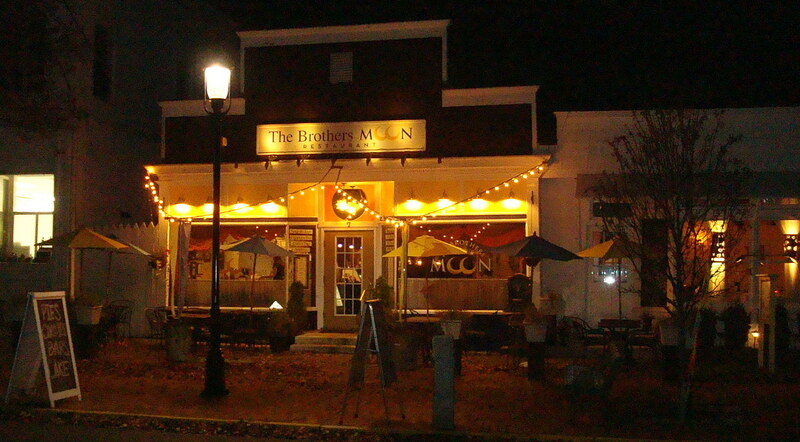 The Brothers Moon is an 80-seat full-service restaurant featuring a seasonally changing menu as well as daily specials. On the other side of the same building, our take-out cases are filled with the freshest salads, cheese, specialty meats, olives, and breads with delicious goodies from our own ovens. Health-conscious and vegetarian foods are always available. The Brothers Moon is a place where the genuine care and comfort of our guests is our highest mission. 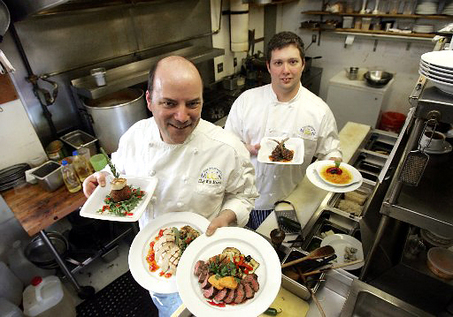 We pledge to use the finest ingredients in all that we prepare for our customers.